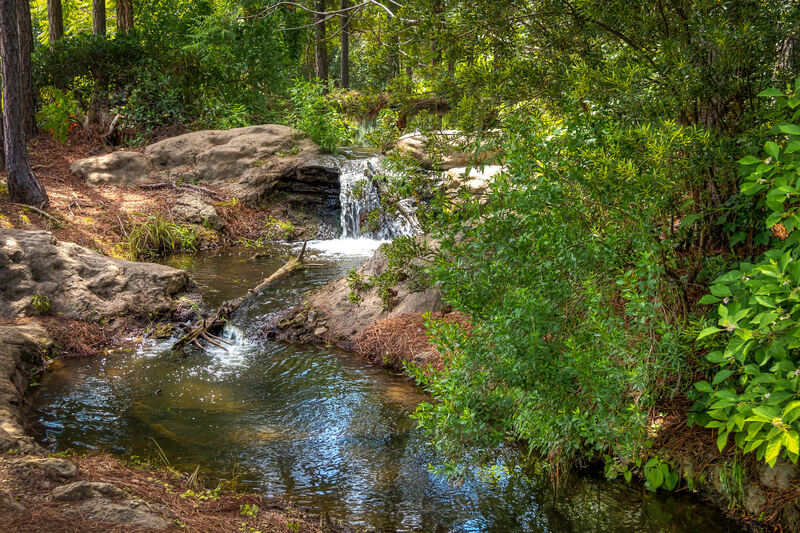 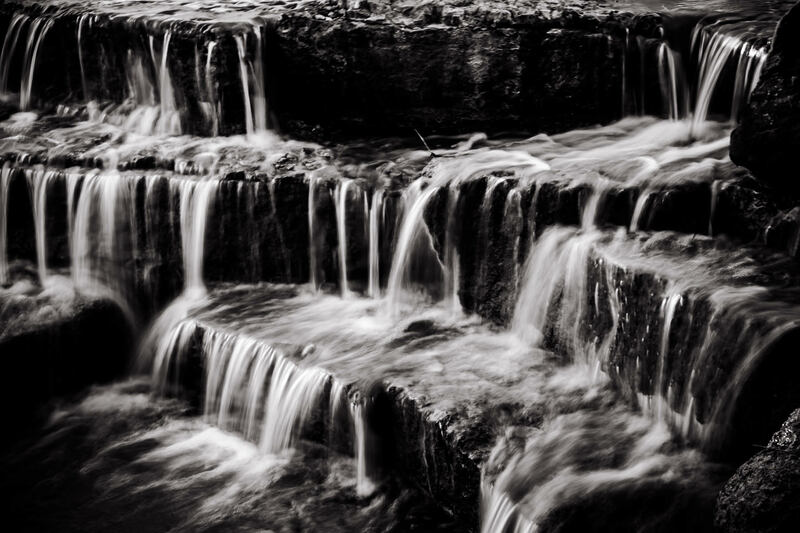 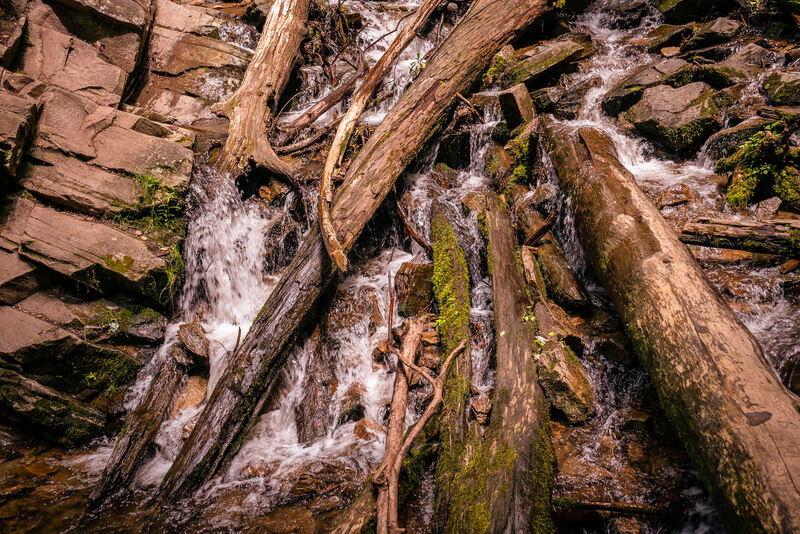 Water flows past logs at the base of Mingo Falls, Cherokee, North Carolina. 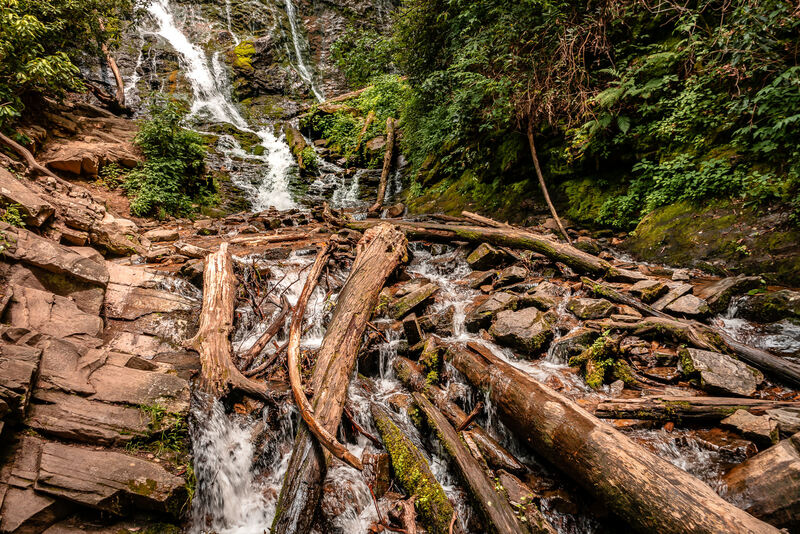 Fallen logs at the base of Mingo Falls near Cherokee, North Carolina. 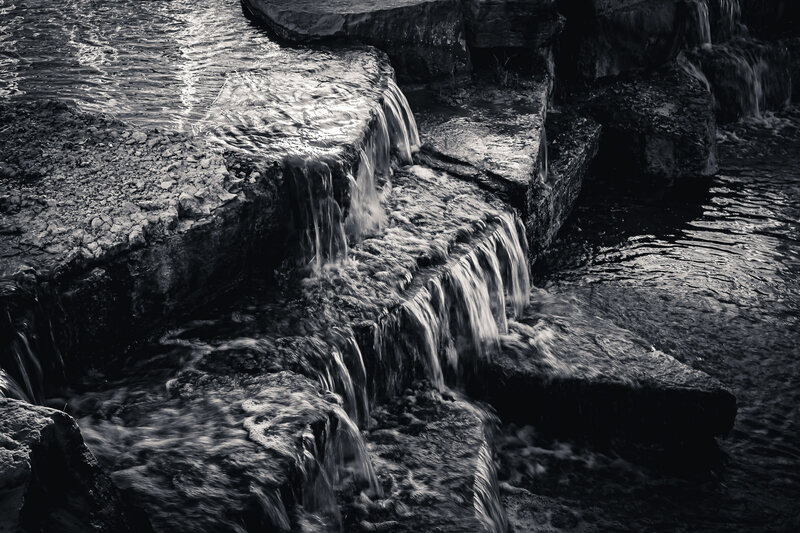 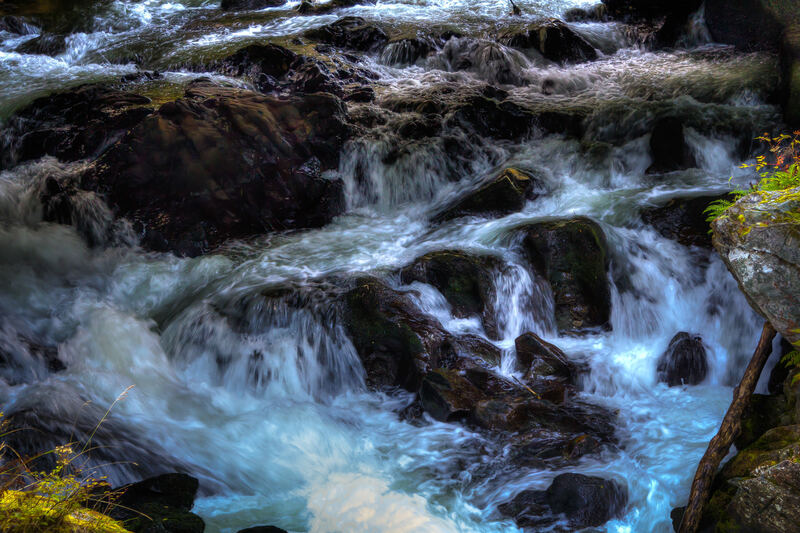 Water flows through a rock-strewn brook in Ketchikan, Alaska. 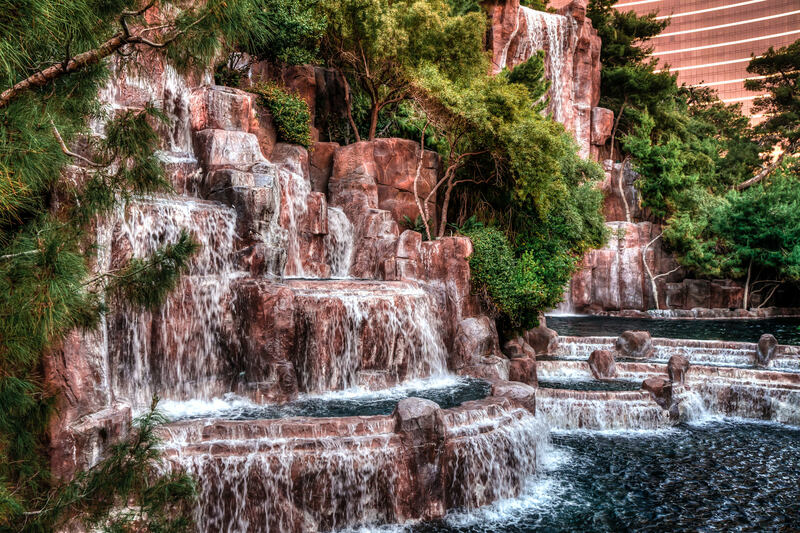 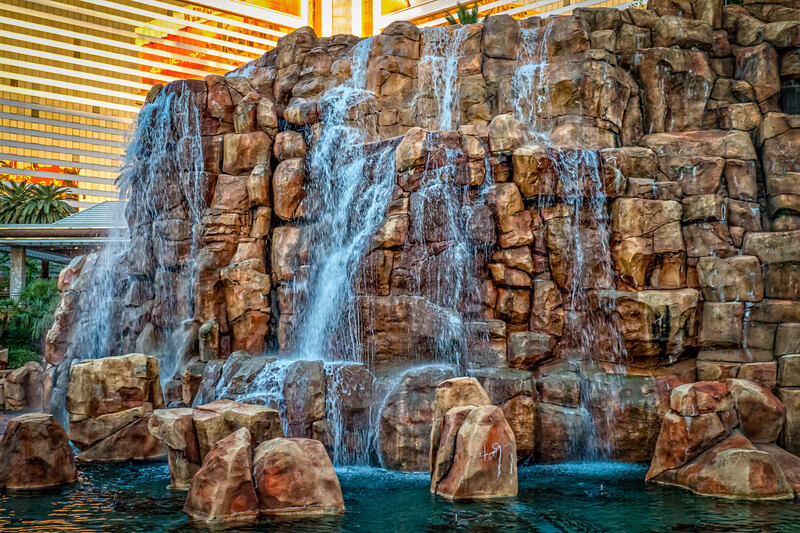 Waterfalls at The Mirage Hotel & Casino, Las Vegas.